WhiteSmoke, Inc. - Wilmington, DE. February 3rd, 2009 – Today WhiteSmoke released a new grammar engine for its world-leading English writing software. The 4th generation engine brings a wealth of improvements, including additional error detections, improvements to grammar algorithms, and faster server response times. 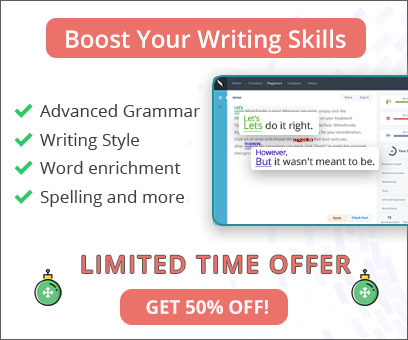 The release pushes WhiteSmoke technology even further in the correction of English grammar and spelling, and intelligent suggestions on English writing style. 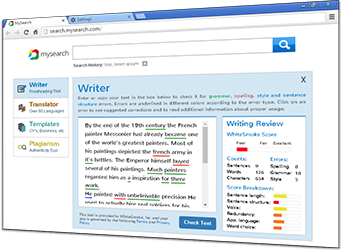 “The new grammar engine delivers on our goal to be the ‘first word’ in software for English writing. We are continuing to expand the net of WhiteSmoke’s detections and corrections, to the point where we now have an impressive, and unparalleled, feature set,” claims Liran Brenner, VP R&D at WhiteSmoke. A new feature of the 4th generation grammar engine is the correction of “glued verbs”. A common error made by native and non-native speakers, WhiteSmoke now detects many glued verbs and separates them into their proper forms. For example, “I want to pickup [pick up] my luggage this afternoon.” Other changes include improvements to the subject-verb agreement algorithms, and new style corrections for informal writing. A wider range of run-on sentences are now detected and corrected accordingly, and further refinements have been made to the spell checking algorithm. The update is effective immediately for all WhiteSmoke users.